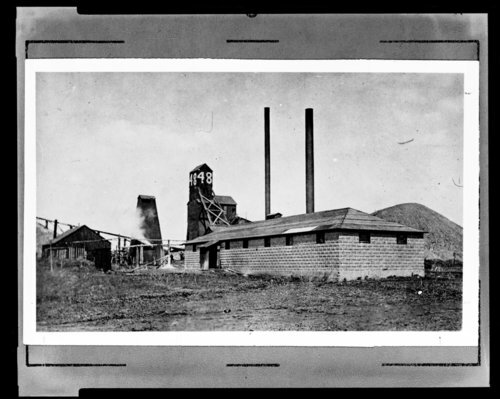 A photograph of the Central Coal and Coke Company mine of Edison Camp in Crawford County, Kansas. This mine was the no. 48 mine shaft.